David Mitchell has been a professional jazz musician, educator, and businessman for the past 30 years. Over the past 11 years, David's jazz quartet has done over 600 performances and clinics in Twin Cities' schools for thousands of young musicians, all funded by a grant. David's main instrument is the saxophone. David has studied and played with numerous well known jazz musicians including Louis Bellson, Eddie Daniels, Lou Marini, and Dave Liebman. David has taught jazz theory and performance in a variety of settings, to students ranging from grade school to college. David was also founder and president of an Inc. 500 computer consulting company, and received a state Entrepreneurial award from Governor Arne Carlson. 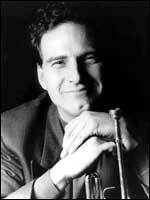 Trumpeter Phil Holm has performed in the Twin Cities for many years. 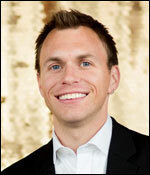 He graduated from the University of Minnesota with a Bachelor of Science in Music Education. 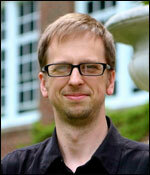 Holm has over 20 years of experience as a jazz educator. A former band director at Southview Middle School in Edina, he now appears at many jazz festivals around the country as an adjudicator & clinician. He also plays regularly with the rock-horn band Casablanca Orchestra (CBO), and formerly played with the Stud Brothers. Holm also performs with the jazz fusion big band, Bozo Allegro. Bill Henry has been a band director in Minnesota for the last 37 years. He taught instrumental music at Eastview High School in Apple Valley from the opening of the school in 1997 and also served as the music and dance department coordinator. Previous positions include Rosemount High School, Scott Highlands Middle School and the Albert Lea Public Schools. Bill holds a Bachelor of Arts degree from St. Olaf College and a Master of Music degree from Southern Methodist University. He is an accomplished jazz pianist, big band arranger, and has served on the board for both the Minnesota Music Educators and the Minnesota Band Directors Associations. 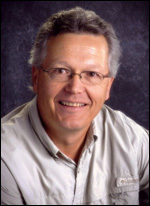 In 2011, he was recognized by the Minnesota Music Educators Association as Minnesota Music Educator of the year. Bill's Eastview Jazz Ensembles earned outstanding recognition in many regional jazz festivals and rave reviews for Eastview's annual Bravo productions. 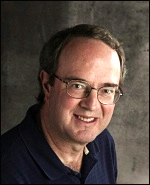 Dave has spent the last 38 years as a music educator and freelance musician in the Minneapolis/St. Paul area. His school jazz ensembles and bands have earned outstanding recognition at many festivals and conventions. Since retiring in 2010, Dave has continued to perform music, been the educational chair for the JazzMN Orchestra, and worked to publish educational band methods. Dave has also served as clinician for various music festivals and has conducted several district and all-state honor bands. Since graduating from the University of Minnesota in 1987 with a Bachelor's of Music, Scott has been an active music educator and performer on both the local and national levels. He has toured with various jazz, R&B, and Broadway show groups. His recording credits include legends Charles Brown, Big Jay McNeally, and Lowell Fulson. He has shared the stage with luminaries such as James Brown and Etta James. Scott maintains a very active private teaching schedule and is a staff member of the Shell Lake Summer Jazz Program. Andy has taught instrumental music in public schools for over 14 years, includingJustice Page Middle School in Minneapolis, Ramsey Middle School in St. Paul, Saint Paul Conservatory for Performing Artists, and in the Brooklyn Center Public School System. Andy received a Bachelor of Music in Jazz Studies from DePaul University in Chicago in 1997, and a Master of Arts in Education from the University of St. Thomas in 2010. Andy is a professional woodwind specialist and has performed with many bands in the Twin Cities, Chicago, and New York City. Jon has taught at Scott Highlands Middle School in Apple Valley for the past three years, and prior to that taught for five years at Twin Cities Academy, a charter school in Saint Paul. 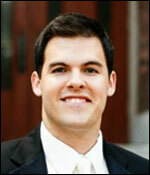 Jon graduated from the University of St. Thomas in 2011 with a bachelor’s degree in Instrumental Music Education. Jon also teaches private lessons and participates in Minnesota Band Directors Association honor band events as well as solo and ensemble festivals. Jon performs regularly with Grand Symphonic Winds, his cover band The NightCaps, and the church worship band at Christ Presbyterian Church in Edina. Tom Lewis is a jazz bassist based in Minneapolis, Minnesota. 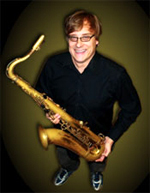 He works frequently with a variety of national jazz artists visiting the Twin Cities. These include, Jim Rotundi, Benny Golson, Lew Tabackin, David Hazeltine, Mose Allison and many others. In the Twin Cities he is an active member of the jazz scene and performs regularly with top local jazz artists in night club and concert settings. 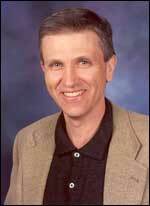 Tom also teaches privately and performs at concerts and jazz clinics in the Twin Cities school system. Brad Eggen combines 40 years as a professional trumpet player and teacher with a legal practice and the role of President of the Twin Cities Musicians Union. He has performed big band, jazz and rock, gigging and writing original compositions and arrangements for groups like the Macalester Big Band and local showbands Gangbusters and Danny's Reasons. As President of the Musicians Union, he works to improve the careers of 1500 AFM musicians in the jazz and orchestra field in the Twin Cities. As a personal injury trial attorney, he has been named a Super Lawyer by his peers in each of the past three years. Brad donates his legal services to Youth in Jazz, Inc. and the Minnesota Youth Jazz Bands program.